The Verrazano Bridge, named for the Italian explorer Giovanni da Verrazano, is the longest bridge in the Americas. Its massive towers can be seen throughout most of the New York metropolitan area, including from spots in all five boroughs of NYC. This iconic structure marks the gateway to New York Harbor. Since 1976, the Verrazano Bridge has been the starting point of the New York City Marathon. 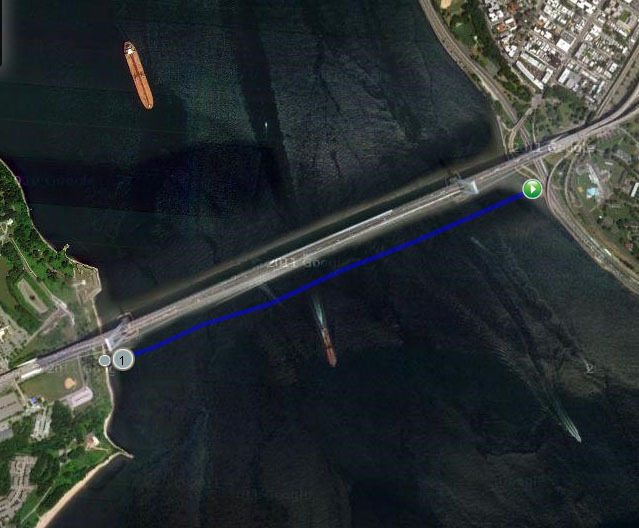 On the afternoon of July 21st, marathon swimmer Jaimie Monahan and Urban Swim celebrated the Verrazano Bridge by swimming from Brooklyn to Staten Island in the shadow of its mile plus span.